Last week, we got a chance to meet one of the fastest growing North American Staffing Agency –Richardson Temporary Agencies. We got a chance to talk about their process and how they are fulfilling the needs. Jobisite: Thanks for offering your time. Tell us about your company and where is it located.? Frontline Source Group : We are leading Richardson temporary agency and direct hire staffing agency today. Frontline Source Group is located in North Central Expressway, Richardson, Texas. Jobisite: What make Frontline unique? Frontline Source Group : We have a very thorough screening process and we make sure our candidates knows all the skills required by client or the position. Also if the candidate doesn’t perform well, then clients can easily get replacement as part of our process and we don’t charge for previous hours. Jobisite:Awesome. How you handle direct hires? Frontline Source Group :We offer 5-years warranty for our candidates. We also credit pro-rated amount of the fee based on the number of active service calendar days in case of early terminations or employee leaving company. 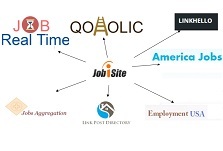 Jobisite: Thanks for sharing information. We hope you success in your business. Frontline Source Group : Welcome, please contact your Richardson professional staffing branch for local professional staffing services today.